Protect your data and applications no matter where they reside to avoid costly business interruptions or to meet compliance requirements. Securely extend your on-premises backup storage and data archiving solutions to the cloud—reducing cost and complexity, while achieving efficiency and scalability. "Using Azure is cheaper than our previous backup solution—one quarter the cost. The savings increase with every gigabyte of data we add." Keep pace with the exponential growth of your enterprise data while lowering deployment and management costs. With a low-cost, massively-scalable, tiered backup storage solution in the cloud, you’ll reduce forecasting risks while transforming capital expenditure commitments to a pay-as-you-go cloud model. "Our IT staff no longer has to handle tapes daily, coordinate with the external storage company, and pay for tape equipment maintenance, all of which equates to a savings of €30,000 to €40,000 [US$33,000 to US$45,000] annually." Improve your organization’s productivity by spending less time managing and maintaining your on-premises backup storage infrastructure and software. Simplify backup and data archiving with backup-as-a-service and hybrid storage solutions that easily restore data and applications from the cloud. "We don’t have to worry about managing space on expensive purpose-built backup storage systems. We have no tape costs, management costs, nothing. Backup is dramatically cheaper with Azure." Take advantage of policies designed to meet your business or regulatory compliance requirements. Benefit from the most comprehensive compliance portfolio available, get more than 99 years of retention for your backup data, and pick any Azure region around the globe for your backup and archive location. "Microsoft Azure is the best option we have seen in the market, which attains a perfect balance between high performance and cost-effectiveness for us, helping us meet the regulatory compliancy law in an extremely short period of time. What they offer is not just a product, but a one-stop solution that gave us peace of mind." Move your backup storage to the cloud to save on infrastructure investments for remote and branch offices. Replace expensive intranets with low-cost internet and archive data in your preferred Azure datacenter region across the globe, so that your data is close to your branch office—maintaining enterprise-grade security for data in transit and at rest. "As a construction company, keeping our jobsites running and field staff productive is job one. If there’s a disaster, we can use Data Protection Manager and Azure to recover quickly." Commvault offers comprehensive services for data backup, recovery, management, and online discovery, as well as data management software. Veeam hyper-availability solutions enable business continuity, digital transformation, and visibility into on-premises and cloud resources. Harness the power of data with solutions designed for the largest and most complex, heterogeneous environments. Rubrik simplifies backup and recovery, accelerates cloud adoption, and enables automation through a single platform to manage and help protect data. Rackspace is a trusted hosting and service provider that’s helped thousands of global enterprises migrate to and optimize in the cloud. Slalom builds strategies and systems to help clients solve some of their most complex business challenges and prepare for the future. Copia de seguridad de aplicaciones y datos locales en la nubeCree copias de seguridad de los datos y las aplicaciones de un sistema local en Azure con Azure Backup o una solución de asociado. Para conectarse a Azure Backup o Azure Blob Storage, se utiliza una conexión de Internet a Azure. Azure Backup Server puede escribir copias de seguridad directamente en Azure Backup. También se puede usar una solución de asociado, como Commvault Simpana o Veeam Availability Suite, hospedada en el entorno local, para escribir copias de seguridad en Blob Storage directamente o a través de un punto de conexión en la nube, como Veeam Cloud Connect. Back up data and applications from an on-premises system to Azure using Azure Backup or a partner solution. An Internet connection to Azure is used to connect to Azure Backup or Azure Blob storage. 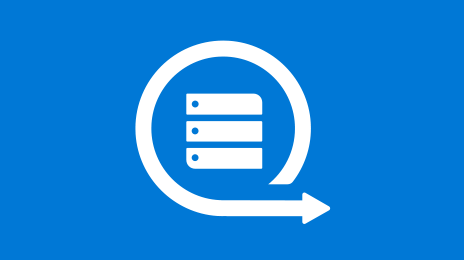 Azure Backup Server can write backups directly to Azure Backup. Alternatively, a partner solution such as Commvault Simpana or Veeam Availability Suite, hosted on-premises, can write backups to Blob storage directly or via a cloud endpoint such as Veeam Cloud Connect. Copias de seguridad de datos y aplicaciones de la nube en la nubeHaga copias de seguridad de los datos y las aplicaciones que se ejecutan en Azure en otra ubicación de Azure, con Azure Backup o una solución de asociado. Back up data and applications running in Azure to another Azure location by using Azure Backup or a partner solution. Archive datos locales en la nubeArchive sus datos locales en Azure Blob Storage. Archive your on-premises data to Azure Blob storage. Submit your details, and an Azure team member will reach out.